CHICAGO (February 19, 2015) — MSDSonline, the leading provider of cloud-based chemical management solutions, today announced it will host a free webinar at 11 a.m. Eastern Standard Time (EST) on Wednesday, March 4, 2015 to help educate businesses on, and answer questions related to, Canada’s recent adoption of the Global Harmonization System (GHS). Canada became the most recent country to implement GHS — the model hazard communication system developed by the United Nations — when it published its Hazardous Products Regulations (HPR) in the February 11, 2015 edition of the Canada Gazette II. 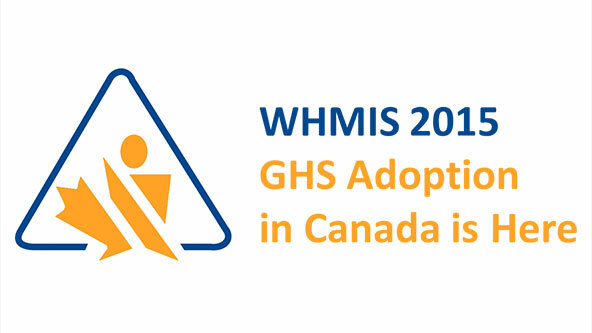 The adoption brings significant changes to Canada’s hazard communication standard known as the Workplace Hazardous Materials Information System (WHMIS). OHS professionals and employers affected by the new law (which Health Canada is calling WHMIS 2015) can view the recorded version of the webinar on-demand. Webinar topics will include a WHMIS and GHS review, chemical classification, changes to hazard symbols, safety data sheets and chemical labels. To make its case, the report cites trade statistics showing that the Canadian chemical manufacturing industry imported more than $28 billion in chemical products from the U.S. in 2013, and exported more than $24 billion to the U.S. in that same year. Since the HPR was published last week, MSDSonline has been fielding questions from customers and interested stakeholders about how WHMIS 2015 might affect chemical management choices from an operational and compliance perspective. The March webinar will cover some of the most urgent questions, such as: what does GHS adoption mean for the WHMIS “three year rule” guidance for updating safety data sheets; what will happen to WHMIS Hazard Symbols; and what steps employers can take now to ensure future compliance? To learn more about MSDSonline, its Toronto based partner KMI, or their suite of environmental health and safety solutions (including the leading chemical management platform — perfect for managing GHS compliance), visit www.msdsonline.com or call us toll-free 1-888-362-2007 from the United States and Canada.